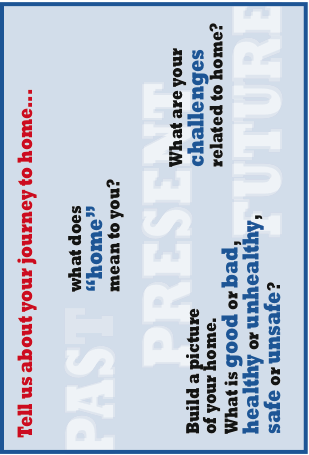 What are your challenges related to home? Build a picture of your home. What is good or bad, healthy or unhealthy, safe or unsafe?